According to traditions within the Catholic Church, it has been said that Saint Luke, the author of the Gospel that bears his name, the same author of the Acts of the Apostles, and a companion of Saint Paul, drew a variety of paintings and icons of the Blessed Virgin Mary. Not only was he a trained physician, historian and theologian, but he was also a talented artist. In the Eastern Church, he is raised to high esteem as the original “iconographer” – the man responsible for the first icon of the Blessed Virgin Mary. You will often see paintings throughout the centuries of St. Luke in front of an easel, painting a portrait of the Blessed Virgin Mary holding the infant Jesus. Although there are four specific icons that are attributed to Saint Luke, there are other opinions that he drew many more than just these four. The four often attributed to him are – Our Lady of Vladimir, Our Lady of Czestochowa, Salus Populi Romani, and Our Lady of Perpetual Help. As you will see from this online catalog, there are the other paintings attributed to Saint Luke. You will find this image in the online catalog above under the title – Our Lady of Expectation (also an older feast I have written on numerous times). It is believed that Saint Thomas the Apostle, the apostle to India, carried this “scapular” like image, strapped like a breastplate to his body, as he went to India to bring the Gospel message of Jesus Christ. This image is still venerated today in the main altar of St. Thomas Mount in Chennai, Tamil Nadu, India. It is the place where St. Thomas was martyred for the Catholic faith. Devotion to Our Lady goes back to the time of the Apostles. Even though she is our Mother, she was first mother to the Apostles. Also see “Mondays with Mary” – Our Lady of Mylapore, another Marian image and veneration in India. Although I have written about some of these Marian images in the past as well as written about the Blessed Virgin in Sacred Art, I am going to write on these from time-to-time for the foreseeable future to focus on the Lukan images of Our Lady in the aforementioned online catalog. I very much like the painting, but can you tell me about the object above Jesus’ head, what it signifies or represents? Thanks. I don’t know what the object over Jesus’ head signifies. I haven’t found any commentary on the painting itself. It might represent the Holy Spirit, but I’m not sure. Sorry I couldn’t help anymore. 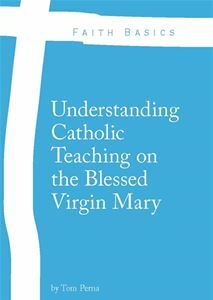 I’ve just bought Michael Hesemann’s book ‘Mary of Nazareth, which is a biography of our Blessed Mother in art, archaeology, and history. The front cover illustrates ‘The Advocata’ which has been attributed to Luke. It’s a first century painting that can be traced to Antioch, where Luke lived. It’s been passed around from one religious possessor to another like a family heirloom all these centuries and is presently kept in a cloister in Rome.